MOSCOW, July 9 (Xinhua) -- The Kremlin said Monday that it saw no reason to link Russia to the Amesbury poisoning incident, which killed one person. "We are not aware if Russia was somehow mentioned or somehow associated with it. We believe that in any case this would be quite absurd," Kremlin spokesperson Dmitry Peskov said. Dawn Sturgess, 44, who was poisoned on June 30 in the British town of Amesbury, died in the hospital on Sunday, London police said. Sturgess' partner Charlie Rowley, 45, also fell victim to the poisoning incident and remains hospitalized in critical condition. Peskov said the Kremlin regretted the death of Sturgess and is deeply concerned about the continued manifestations of toxic agents in Britain, "which is a danger not only for the British but also for all other Europeans." The Defense Science and Technology Laboratory at Porton Down told police on July 4 that the British couple had been exposed to Novichok nerve agent. Novichok, allegedly produced in Russia, was said to be used in March to poison former Russian spy Sergei Skripal and his daughter Yulia, who both survived and are now recovering at secret places. Russia has repeatedly denied any involvement in the Skripal incident and offered to participate in a related investigation. 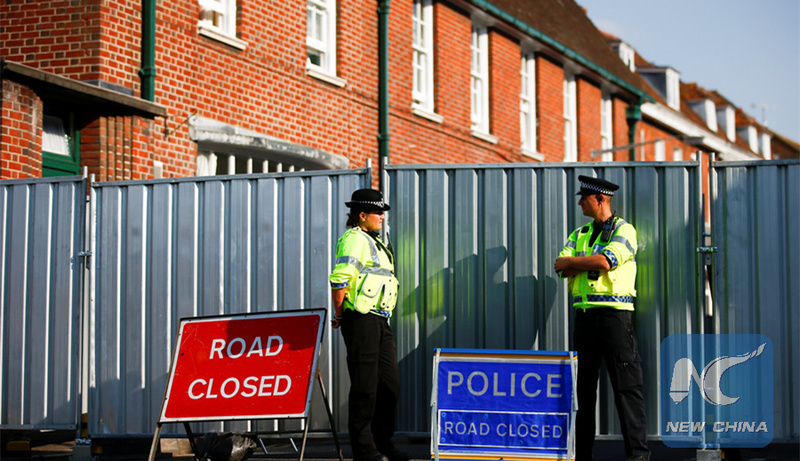 Scotland Yard said there is no evidence that the victims of the Amesbury incident visited any of the sites that were decontaminated following the Skripal case. Russia's Permanent Representative to the Organization for the Prohibition of Chemical Weapons Alexander Shulgin said Moscow would demand evidence from London supporting the words of British leaders about the possible involvement of Russia in the Amesbury poisoning, according to an interview published by Russian newspaper Izvestia on Monday. He did not specify the officials who were responsible for such an allegation.